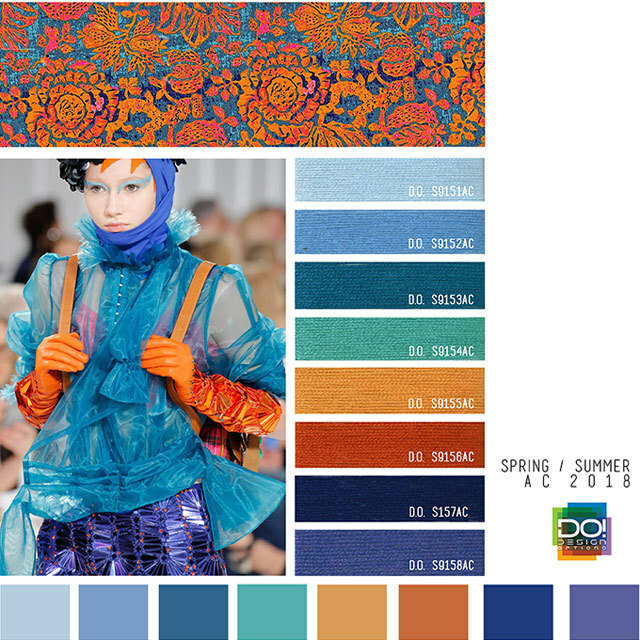 On view an exceptional color trend forecast for Spring/Summer 2018. 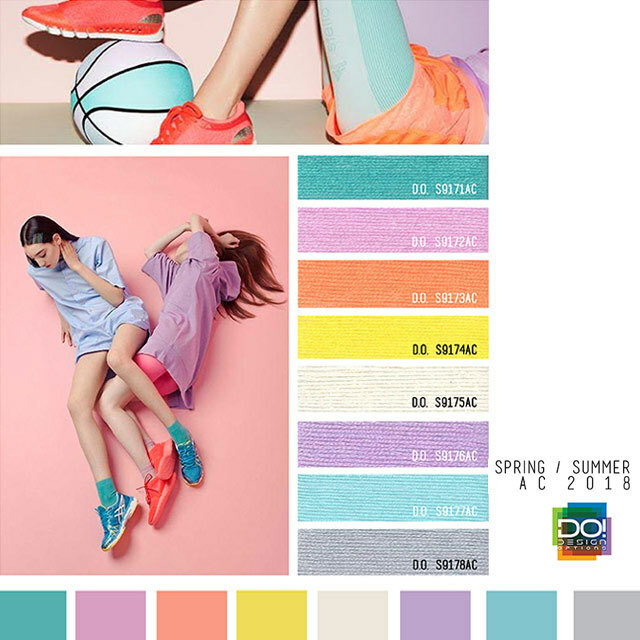 This must-see report features themed color mood boards for women’s activewear and swim contemporary markets, thanks to Design Options Inc, the color forecasting firm who is dedicated to bringing Southern California’s unique aesthetic to the world. Diving with the spirit of vivid orange through the unknown shades of blue. 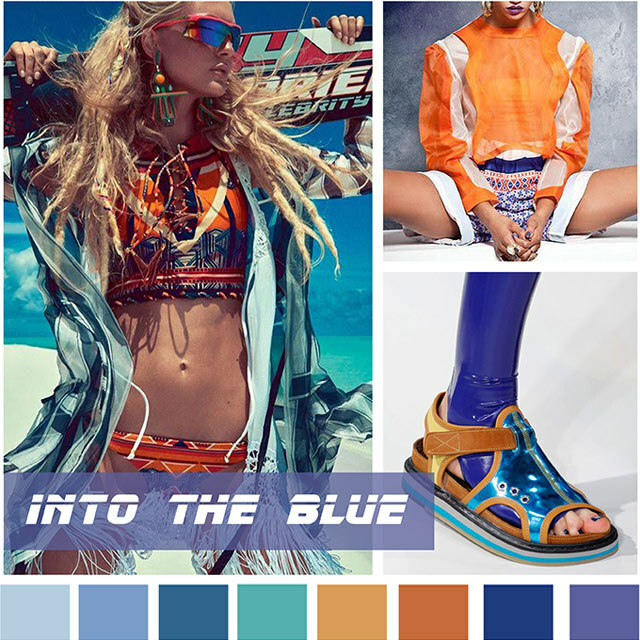 First, feel the valiant energy of navy blue pulsating through veins intoxicated by enthusiastic bright orange. Then, push against the harmonious contrast of choppy icy cold blues. Continue by swimming through the profound depths of sapphire hues. Finally, gaze up at the golden orange rays of warmth caressed by the sea green blues- only then will you have truly been into the blue. 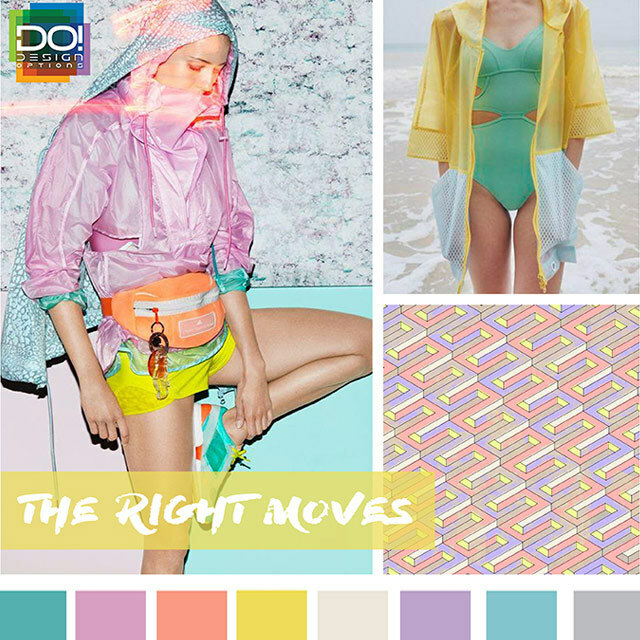 Design Options, has a global client base, filling the color needs of large retailers to small indie design firms. Design Options Inc is dedicated to bringing Southern California’s unique aesthetic to the world. Its singular, cutting edge perspective, coupled with a comprehensive knowledge of the current marketplace, fuels the company’s imaginative products and high-end consulting services.